Natalicio, 78, has been an El Paso fixture for decades, and she has been widely recognized for her efforts to make higher education more accessible to low-income students. 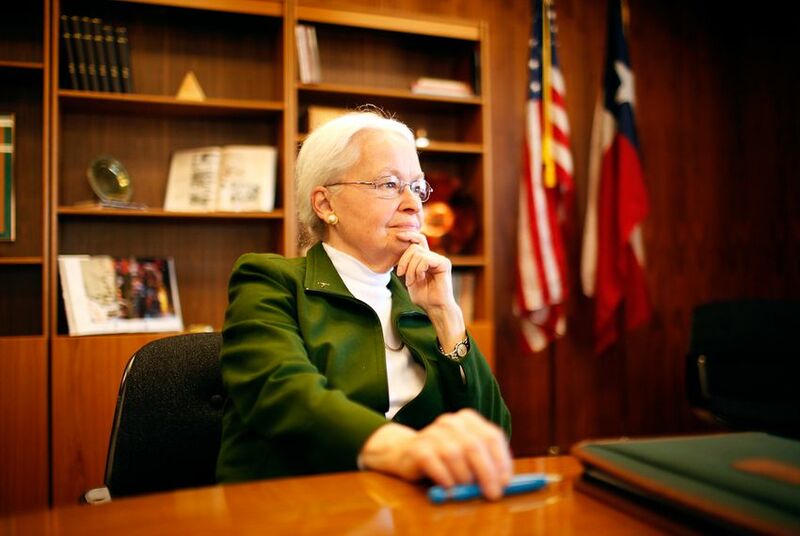 After 30 years as president, Diana Natalicio has announced she will retire from her post atop the University of Texas at El Paso as soon as a successor is in place. "Although approaching retirement saddens me — I am as energized today by UTEP’s many assets and future potential as I was 30 years ago! — I’ve always known that this day would inevitably come," Natalicio wrote in an extended message posted online Tuesday. Natalicio, 78, has been an El Paso fixture for decades and has been widely recognized for her efforts to make higher education more accessible to low-income students. She will remain in place until a new president is formally appointed and poised to take over. “This is not a farewell message to you, but rather an early alert about my plans,” Natalicio wrote in her Tuesday message. Appointed in 1988, Natalicio is the first female president to helm UTEP, a commuter campus whose student body is primarily Mexican-American. During her presidency, the university’s enrollment has increased from 15,000 students to more than 25,000, and its budget shot from $65 million to nearly $450 million. She’s the longest-tenured president of a public research university in the country. The magazine noted UTEP’s place on national college rankings had risen and that research funding had shot up on Natalicio’s watch. The school’s research expenditures now top $90 million per year; at the start of Natalicio's presidency, they were around $6 million. Natalicio joined UTEP as an assistant professor of modern languages. She served as chairwoman of the modern languages department, dean of the college of liberal arts and vice president for academic affairs before becoming president. Disclosure: The University of Texas at El Paso has been a financial supporter of The Texas Tribune, a nonprofit, nonpartisan news organization that is funded in part by donations from members, foundations and corporate sponsors. Financial supporters play no role in the Tribune's journalism. Find a complete list of them here.